Solenoid and Helix with Iron Core can illustrate several electromagnetic effects. 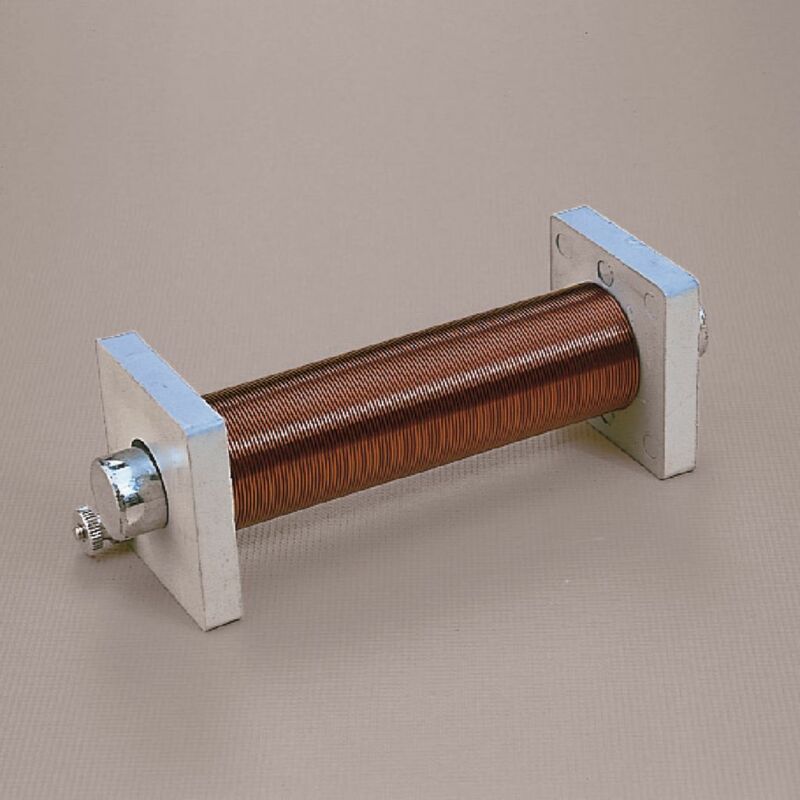 A coil of insulated copper wire is wound on a molded plastic tube with binding posts at each end. The solenoid is wrapped with three layers (300 turns) of 20-gauge magnet wire. The overall dimensions are 15.5 x 5 cm.